The Beatles Through The Years: Remembering John Lennon: The Founder of the Beatles. Remembering John Lennon: The Founder of the Beatles. 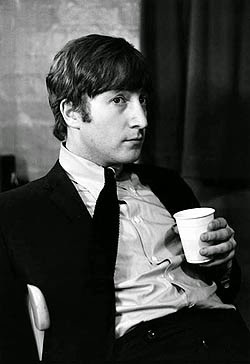 I know I will probably spark debate with my title but the way I see it, John Lennon was the de-facto leader of the Beatles. They grew out of HIS Quarrymen. Paul joined John's band, George joined and then Ringo. 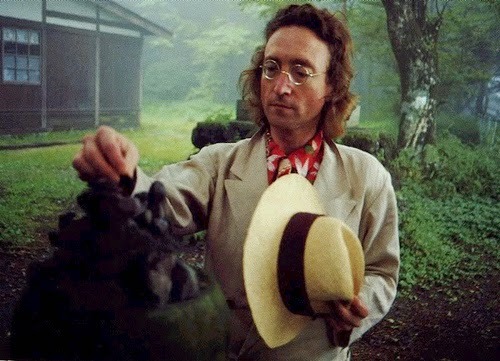 Of course, as history shows, the Beatles were very much a four man group with all of their ideas getting equal billing but John Lennon proved time and time again that he was the leader, not just because he was older than Paul & George, but because he saw things in a slightly different way which made him a natural act to follow. For all of Lennon's faults, he was human after all, he had a precocious talent for wordplay. Lyrics came naturally to him and he'd often admonish Paul for his half-hearted attempts on songs and even songs that Paul wrote that John thought were dodgy, such as 'A World Without Love' which every time Paul would play it to him and sing 'Please, lock me away...' John would end it with "Yes! Okay!" and cut Paul off completely. (Paul ended up giving the tune to Peter & Gordon who had a number one with it). John was insecure a lot of the time, right up until his death. I think had he been able to continue living, he would have been much more secure in his place in history. I often think about how great it would have been to have him on Twitter or Facebook. I like to imagine (to coin a phrase) that he would have run them himself and engage in lots of in-jokes with Ringo and George, if he too was still with us. We all miss John Lennon. It's so sad that he's gone. One of my favorite songs of his outside the Beatles was his cover of the Ben E. King song "Stand by Me". So beautiful, with just a hit of acoustic to it. And of course, who can forget "Imagine". Yes Caitlin! I totally agree with you! His cover of 'Stand By Me' was wonderful. I recently recorded an acoustic cover of 'Jealous Guy' which I have yet to upload.